Will & Falco Ebben Beneden-Leeuwen! An ideal combination was formed when Will, an older, experienced expert was joined by the ever-inquisitive Falco, representing the 80’s generation of enthusiasts. Right from the start, their combined efforts with a select few pigeons resulted in awe-inspiring performances. With twelve couples on total widowhood and altogether fifty young pigeons to fly with, they dared to take on the biggest and strongest competitors. In big competitions, they have by now booked a series of first prizes as well as eight NPO victories versus thousands of pigeons. They accomplished this only thanks to the unrivalled quality they kept in their lofts. After years of breeding and competitive flying, the colony has grown to become its own close-knit strain. The foundation of this strain was formed by the descendants of an unparalleled hen named Roosje and the top breeding lines of Ad Schaerlaeckens. Around the turn of the century, the first strain-determinative pigeons were introduced. The pigeons that Falco purchased as eggs in his early twenties from Ad Schaerlaeckens resulted in the big turnaround. From that moment on, their own cross strain combined with the direct Schaerlaekens’ pigeons started winning first prize at the big competitions. The purchased eggs soon yielded a couple of super pigeons including Ko, the Beauty 05, and later, the famous Picasso. 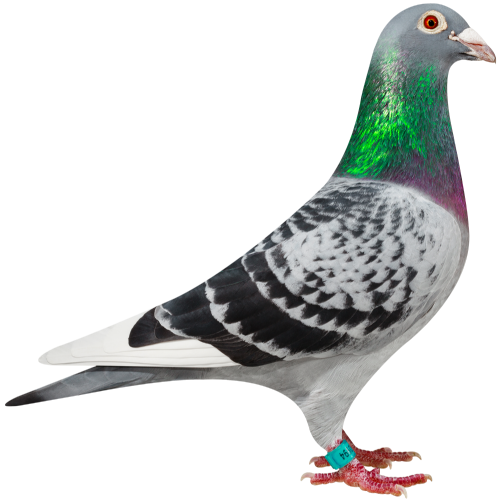 These pigeons were instantly successful and with their new superstar named Roosje they bred with the Klak-lines from Arie van Beek and the 46 Verbart line. Roosje was soon Queen of the airways with six clear-cut first prize finishes. This included an awe-inspiring 1st place finish at La Ferte Bernard against no less than 5,503 pigeons by an incredible margin of 6 whole minutes! From the moment she was coupled with the direct line of Ad Schaerlaekens, the foundation was laid for consistent, world-class performances. Certainly when you consider how small their pigeon colony is. This became their great strength and trademark, just like the fact that prior to breeding, every pigeon had to prove its worth with above-average flying performances. 'Roosje' NL03-2083516 won among others 1st La Ferte Bernard 5,503 p, 1st Duffel 2,450 p, 1st Strombeek 2,307 p, 1st Morlincourt 1,374 p, 1st Bourges 675 p and 1st Vierzon 588 p.
I, myself, was returning to the sport and looking for the best pigeons flying in the skies. Lofts that performed well were interesting, but lofts that many other pigeon fanciers had success with, were what I was looking for. Will and Falco had both. At the end of 2011, I purchased a few pigeons from their celebrated breeding loft. This included Cyrus, a direct son of Roosje, who was coupled with a direct Ad Schaerlaeckens hen named Charlene. I called their son Blue Cyrus and coupled him with a female from the Schele of the Yearling loft, who was a daughter of the renowned Bubbles owned by Bas Verkerk. 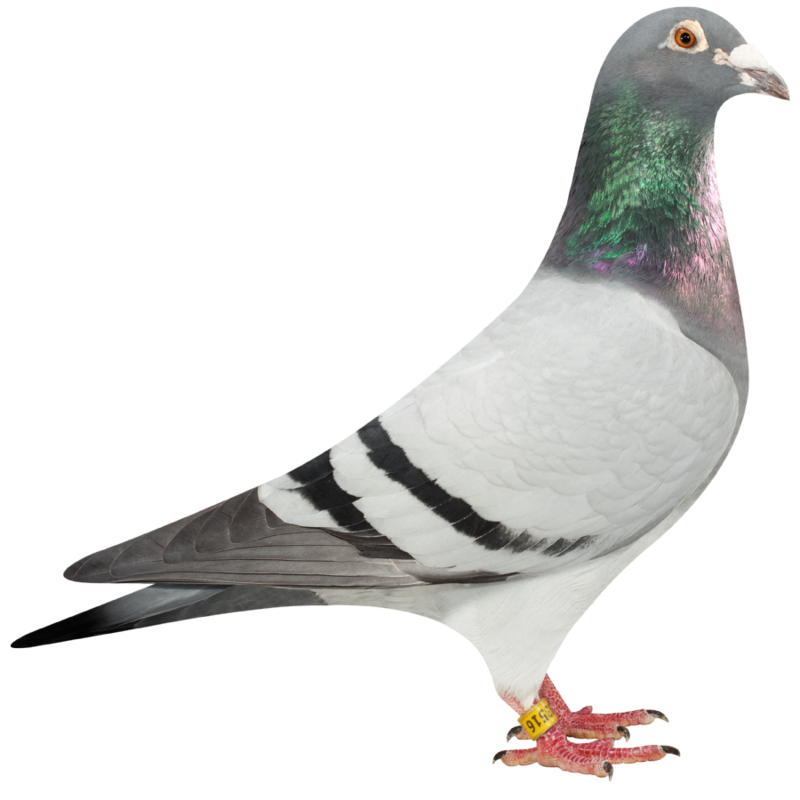 To make a long story short, I gave two offspring of that couple to friend in Belgium who as young pigeons quickly won 1st place at the Union Antwerp races against 1,214 and 2,127 pigeons respectively... This was no coincidence, because Will and Falco took the young from a brother of Blue Cyrus to a 1st place finish at the NPO Orleans against no fewer than 4,000 pigeons! And my story is not unique. Their strain is now so strong and broad that in one racing season, their descendants deliver top performances almost on a weekly basis. 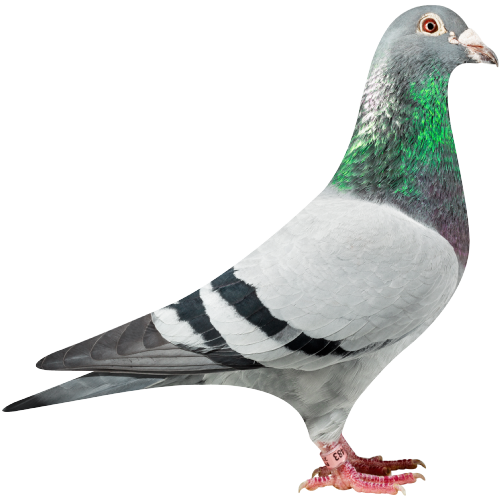 Falco is also owner PigeonPixels, a company that produces high-quality photographs and DVDs of the pigeon races. 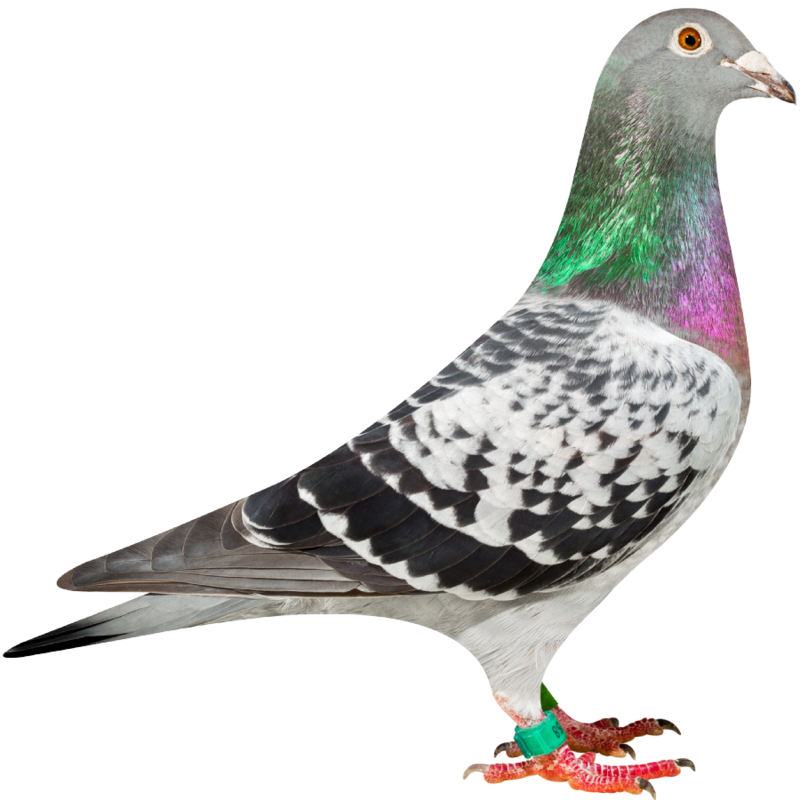 In this capacity, he visits many top breeding lofts and stays fully up-to-date on everything that happens at the highest level of pigeon racing. By now, he knows that the sport is all about finding the best pigeons. He has tried all kinds but only one was good enough so far. 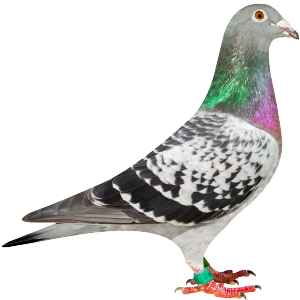 The Ebben strain was created purely with exceptional pigeons. At the beginning of the 2000’s, the Schaerlaeckens loft was simply teeming with class. Every fancier who had a little knowledge of the sport and purchased pigeons from them was finishing among the best in no time. This period yielded such super couples as, for example, the Mattens pigeon plus Sissy, which produced, among others, the Blue Yellow Eye and his brother the Orleans pigeon. From the Blue Yellow Eye, Ad bred the world famous Ace Four and his nesting partner Supertje. At that time, Falco also produced an egg out of the son from Ad´s Orleans pigeon and his peer Bas Verkerk also got an egg out of the daughter of the Orleans pigeon. But, neither was aware of what happening at the other´s loft... Both parties had discovered a super breeder. Bas Verkerk´s loft yielded the by now legendary Bubbles and Falco had the spectacular Picasso... Both Bas and Falco now belong among the leaders, each with their own methods, but both utilizing the same quality origins. Time has passed and many of these pigeons have been bred into the strain that is now the Ebben colony. Falco, however, has remained loyal to his prized supplier A.S., and fresh blood is routinely added to bolster the ranks. In 2013, this resulted in eighteen eggs which were first tested in flight as is usually the case. 'Indy' NL13-1921958 won among others 1st Soissons 2,538 p, 1st Bourges 1,583 p (4th NPO 6,187 p), 1st Meaux 1,473 p (3rd NPO 3,044 p), 1st Salbris 279 p (2nd NPO 4,029 p), 1st Chateauroux 302 p (14th NPO 2,304 p) and 1st Asse Zellik 213 p.
Last Saturday was the first official race of the season. The pigeons were released at 11 a.m. in Bierges (142 kms) and head to deal with strong headwinds. 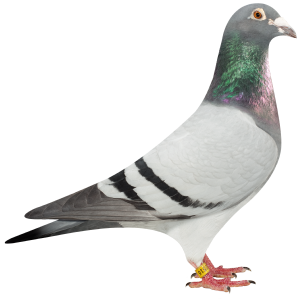 Willi Linsen from Kleve has the 2nd best short distance pigeon of the Netherlands with a 50% Ebbenpigeon. On the last Olympiad were two pigeons with 'Ebben' blood in their veins.